I had the great pleasure of contributing a chapter to this new book recently published by Oxford University Press: Bits and Atoms: Information and Communication Technology in Areas of Limited Statehood. My chapter addresses the application of crisis mapping to areas of limited statehood, drawing both on theory and hands-on experience. The short introduction to my chapter is provided below to help promote and disseminate the book. Crises often challenge or limit statehood and the delivery of government services. The concept of “limited statehood” thus allows for a more realistic description of the territorial and temporal variations of governance and service delivery. Total statehood, in any case, is mostly imagined—a cognitive frame or pre-structured worldview. In a sense, all states are “spatially challenged” in that the projection of their governance is hardly enforceable beyond a certain geographic area and period of time. But “limited statehood” does not imply the absence of governance or services. Rather, these may simply take on alternate forms, involving procedures that are non-institutional (see Chapter 1). Therein lies the tension vis-à-vis crises, since “the utopian, immanent, and continually frustrated goal of the modern state is to reduce the chaotic, disorderly, constantly changing social reality beneath it to something more closely resembling the administrative grid of its observations” (Scott 1998). Crises, by definition, publicly disrupt these orderly administrative constructs. They are brutal audits of governance structures, and the consequences can be lethal for state continuity. Recall the serious disaster response failures that occurred following the devastating cyclone of 1970 in East Pakistan. To this day, Cyclone Bhola still remains the most deadly cyclone on record, killing some 500,000 people. The lack of timely and coordinated government response was one of the triggers for the war of independence that resulted in the creation of Bangladesh (Kelman 2007). While crises can challenge statehood, they also lead to collective, self-help behavior among disaster-affected communities—particularly in areas of limited statehood. Recently, this collective action—facilitated by new information and communication technologies—has swelled and resulted in the production of live crisis maps that identify the disaggregated, raw impact of a given crisis along with resulting needs for services typically provided by the government (see Chapter 7). 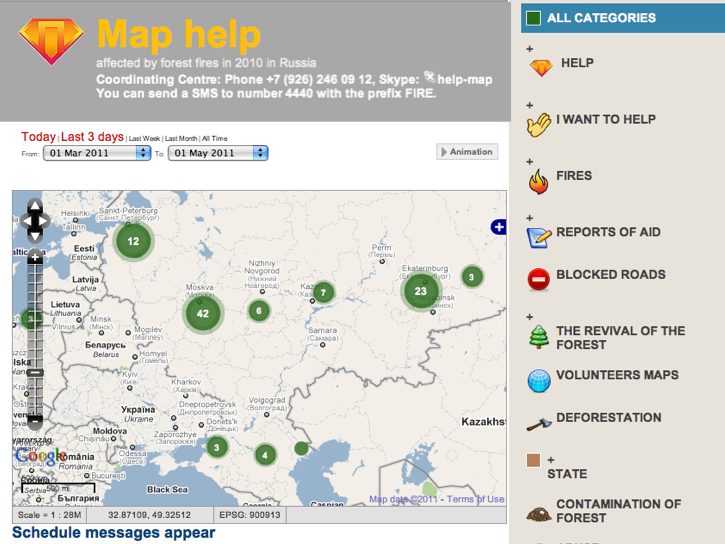 These crisis maps are sub-national and are often crowdsourced in near real-time. They empirically reveal the limited contours of governance and reframe how power is both perceived and projected (see Chapter 8). Indeed, while these live maps outline the hollows of governance during times of upheaval, they also depict the full agency and public expression of citizens who self-organize online and offline to fill these troughs with alternative, parallel forms of services and thus governance. This self-organization and public expression also generate social capital between citizen volunteers—weak and strong ties that nurture social capital and facilitate future collective action both on and offline. The purpose of this chapter is to analyze how the rise of citizen-generated crisis maps replaces governance in areas of limited statehood and to distill the conditions for their success. Unlike other chapters in this book, the analysis below focuses on a variable that has been completely ignored in the literature: digital social capital. The chapter is thus structured as follows. The first section provides a brief introduction to crisis mapping and frames this overview using James Scott’s discourse from Seeing Like a State (1998). The next section briefly highlights examples of crisis maps in action—specifically those responding to natural disasters, political crises, and contested elections. 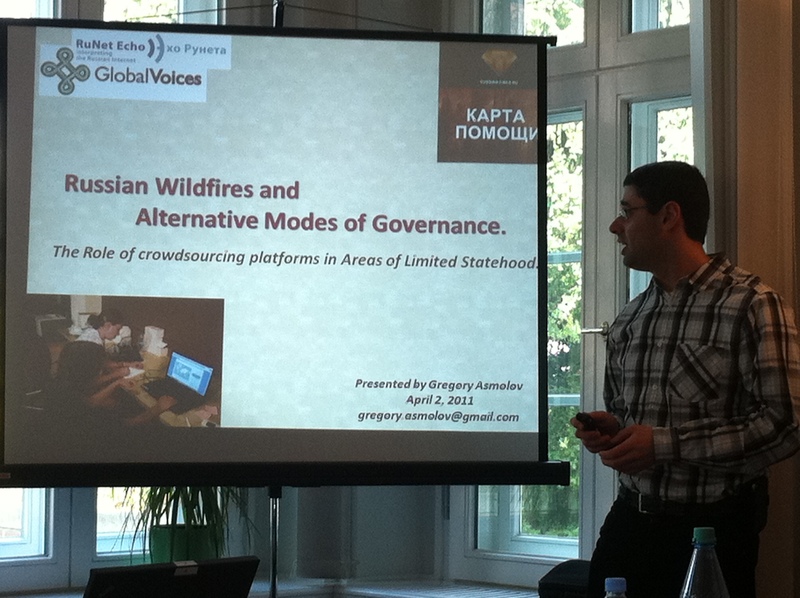 The third section provides a broad comparative analysis of these case studies, while the fourth section draws on the findings of this analysis to produce a list of ingredients that are likely to render crowdsourced crisis-mapping more successful in areas of limited statehood. These ingredients turn out to be factors that nurture and thrive on digital social capital such as trust, social inclusion, and collective action. These drivers need to be studied and monitored as conditions for successful crisis maps and as measures of successful outcomes of online digital collaboration. In sum, digital crisis maps both reflect and change social capital.